The Deadly Four is an entry for the 2014 7DRL challenge. You play as a samurai on a journey to defeat the deadly four. I was mainly inspired by Akira Kurosawa and his films, namely Seven Samurai. 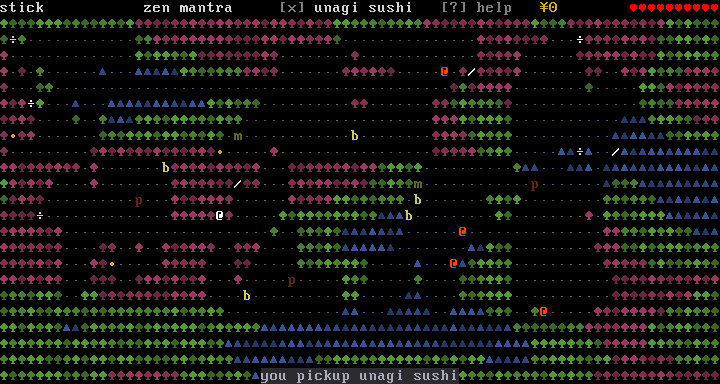 This will be my first roguelike and so I have learned many lessons. I am constantly reminded that when time is tight your vision is key. There is no time to spare to discover your vision by trying this and that. The game is finished for the most part. There are things I didn't have time for, so maybe I'll go back and implement them. We'll see.